Lots of fun inspirations on Day 1. I love these classes. The videos are great. The designers are wonderful! 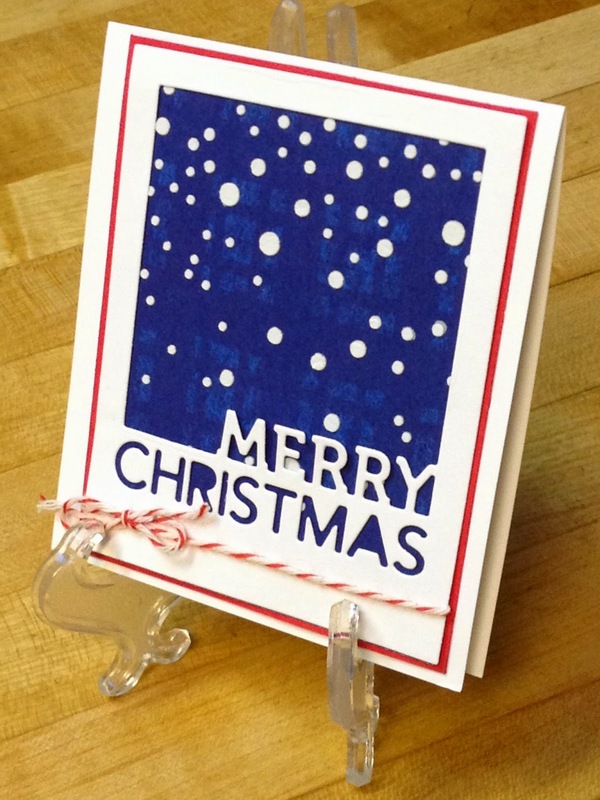 My card is super easy with the a Merry Christmas frame from Simon Says Stamp. Liquitex Modeling Paste and the Falling Snow Stencil created the snowy background on navy patterned paper with a bit of red Baker's twine. Saw your card in the Holiday Workshop Gallery and just wanted to stop by and say it's so pretty! I LOVE that Merry Christmas frame. The snowy background is perfect. Great job!